Streptocarpus ‘Vinga’, 2009, IR091125, Gunilla Ridderberg, Sweden. (S. ‘Emily’ x S. ‘Bristol’s Phaser Blast’. Cross made Nov. 7, 2006, planted Jan. 21, 2007 and first flowered May 8, 2007. Fertile but reproducible only vegetatively. Compact rosette. Leaves medium green, 9 in. long x 2 1.2 in. wide, linear with crenate margin and acute tip.Pedicel 6 in. tall with 4-5 flowers per peduncle. Corolla salverform, 2 ½ in. long x 2 ½ -3 in. wide, dark bluish purple with darker veins, sprinkled with tiny purple dots, yellow eye on lower petals, soft white on upper petals. Join us to receive four informative, colorful issues per year. Download a sample copy here. 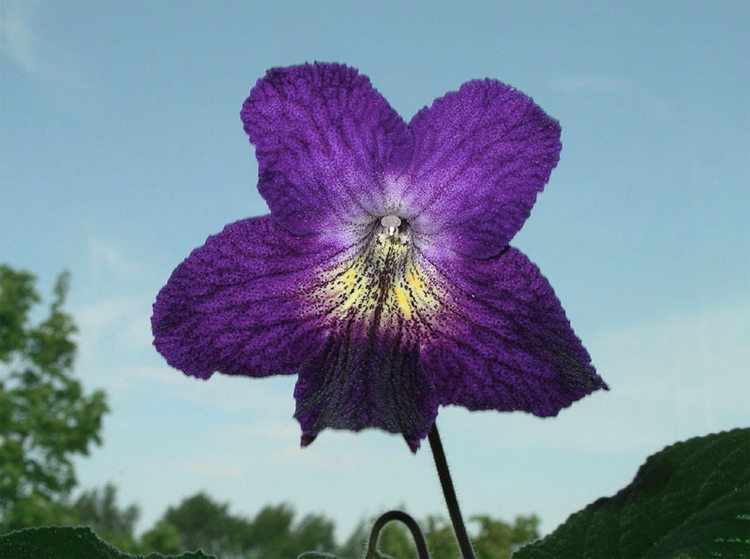 The Gesneriad Reference Web is the largest online reference about gesneriads. 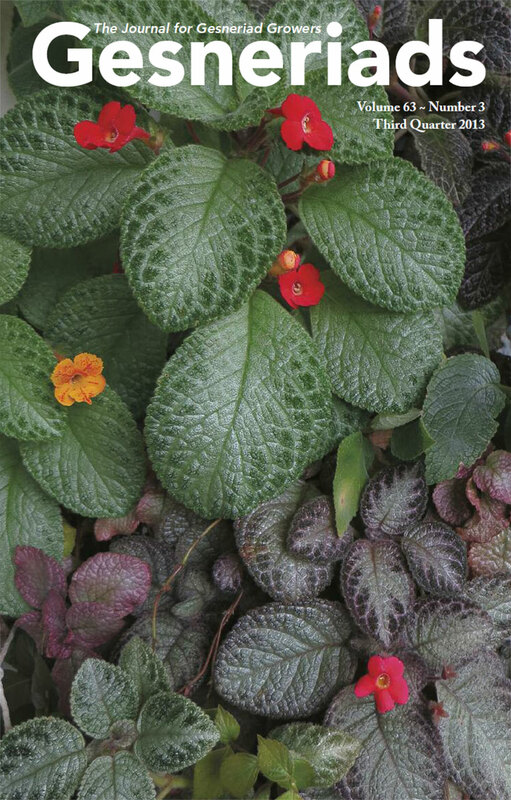 Originally created by Ron Myhr, it is hosted by the Gesneriad Society and is a living wiki site.